One of South America's top tourist attractions. The best tours to and around lake Titicaca on the Bolivian side. The Titicaca Lake is a great tourist attraction for nature and history lovers. As one of Bolivia’s most beautiful and treasured landmarks, it is a place for great picture opportunities. Lake Titicaca is located on the border between Bolivia and Peru, nestled in the Andes at an altitude of 3812 meters above sea level. It is most easily accessible from La Paz via Copacabana in Bolivia and from Cusco via Puno in Peru. The lake is at the northern end of the Altiplano highlands in the Andes Mountains, occupying areas in southeastern Peru and northwestern Bolivia. Lake Titicaca is really close to La Paz and can be visited on a day trip if you are short on time, or you can decide to stay there for the night. When visiting the Bolivian side, Copacabana (the original) is the place to stay. From here, you can take a boat trip to visit the Isla del Sol (Sun Island) and the Isla de la Luna (Moon Island). It is also possible to overnight on Isla del Sol in one of the several ecolodges. On the Peruvian side of the lake the town of Puno is the best place to stay. The town of Puno is the folklore capital of Peru and also has a beautiful old cathedral. The town is easily accessible from other attractions in Peru, like Macchu Picchu or Cusco. The Peruvian part of the lake is located in Puno department, in Puno and Huancane provinces. Juliaca, a town located at 44 km distance from Puno, has a well served airport. There are daily direct flights from Arequipa, Cusco and Lima. El Alto airport in La Paz receives most of the international flights to Bolivia. From here, Lake Titicaca is about 4 hours away by road. If you are looking for more flexibility, you can choos to take a private transfer. This way you can also have time to eat lunch in Copacabana and make a short visit to Tiwanaku. There are regular buses from Cusco, Lima or Arequipa in Peru and from Copacabana and La Paz in Bolivia. We recommend travelling with Trans Titicaca Bus for a bit of extra comfort and better service. You can also enjoy traveling on lake Titicaca by boat. 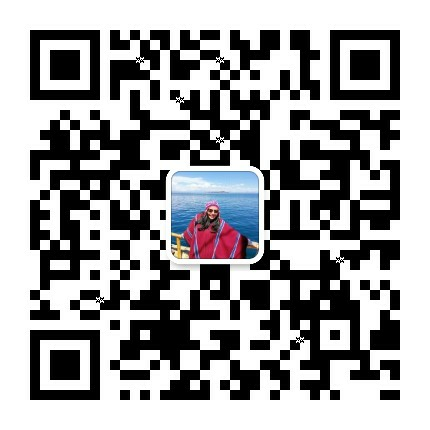 There are many boats and yachts that travel between the Bolivian and Peruvian sides, as well as to the fascinating islands like Isla del Sol and Isla de la Luna in Bolivia, Uros, Taquile and Amantani in Peru. To get from Cusco to lake Titicaca you will need to go to Puno, on the lake's northern shore, which is connected by a major road to Cusco. Travel time is about about 7 hours by bus from Cusco, and 9 hours from Arequipa. To get from La Paz to lake Titicaca you will travel on a major highway that connects Bolivia's capital with Copacabana and the journey passes through the Altiplano and uses a ferry across the lake's Tiquina Strait. You can travel from Puno to Copacabana or La Paz with Titicaca bus. Area. It has an area of 8562 km² of which 3790 km² of surface and 575 km of coastline belong to Bolivia, the rest to Peru. The lake is divided into two parts: the larger part is called Chucuito, with a surface area of 6450 square kms, and the minor lake is called Huiñamarca with a surface area of 2112 square kms. The southern basin is connected to the larger basin via a 900 meter wide waterway, the strait of Tiquina. Altitude: 3812 m or about 12500 feet. This makes the Titicaca the highest navigable lake in the world. Lenght: 190 km (118 miles). It is 80 km (50 miles) across at its widest point. Depth. Max Depth: 284 m (over 900 feet). 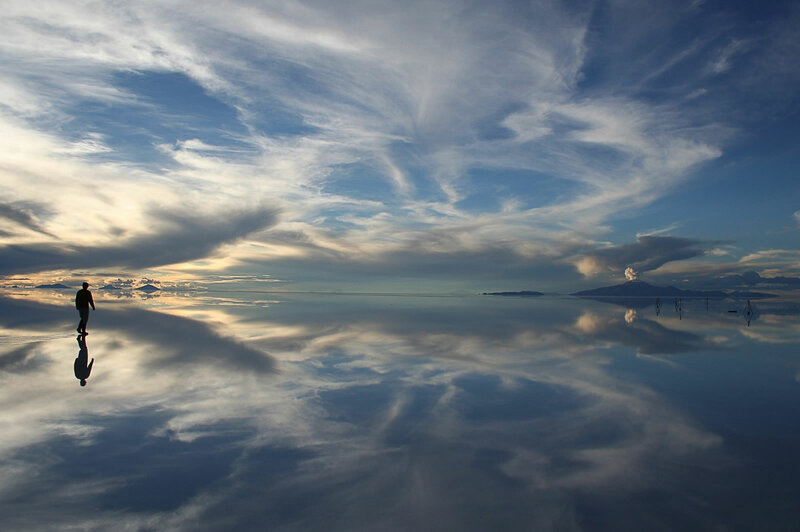 The lake averages between 140 and 180 m (460 and 600 feet) in depth, but the bottom tilts sharply toward the Bolivian shore, reaching its greatest recorded depth of 920 feet (280 m) off Isla Soto in the lake's northeast corner. Temperature. The average temperature around the lake is 7 °C (45 degrees Fahrenheit). The average temperature of Lake Titicaca is only 11 degrees Celsius. Importance. It is the largest lake in South America by volume of water. The large body of water creates a warmer and more humid microclimate that makes the cultivation of potatoes and quinoa possible at this altitude. Locals also keep herds of alpacas, llamas, sheep and cows. Water. The lake is fed by 27 tributaries, melting glaciers and rainwater. The Desaguadero river is the only river that flows from the lake. It flows from the south of Lake Titicaca and empties into Poopó Lake. It only drains 5% of incoming water (the other 95% is lost through evaporation due to the fierce sun and strong winds of the dry Altiplano). The water in Lake Titicaca is slightly salty, referred to as limpid or only slightly brackish, with salinity ranging from 5.2 to 5.5 parts per 1000. Islands. Lake Titicaca has 41 islands, many of which are inhabited. The best known and most visited are Isla del Sol and Isla de la Luna in Bolivia. Ruins. In the area surrounding Lake Titicaca there are more than 180 ruins of ancient monuments that belonged to the civilizations that once lived in the region. In addition to Inca ruins found on the islands and shores of Lake Titicaca, a large temple structure was recently found at the bottom of the lake. 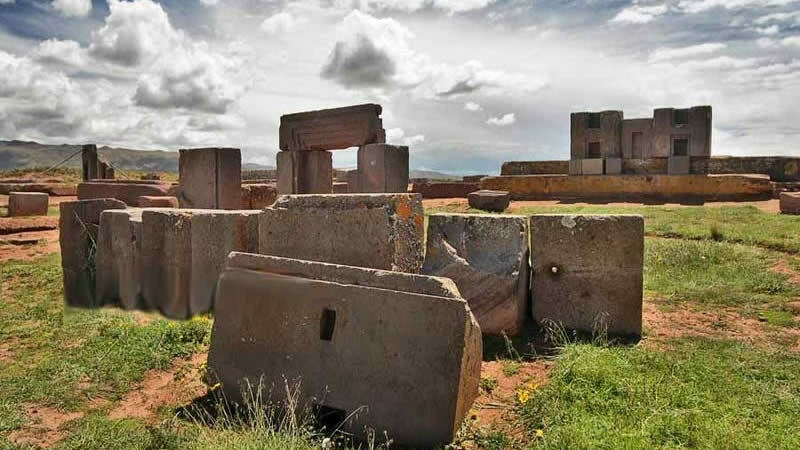 Not far from the lake is Tiwanaku, the "Stonehenge of the Americas". The population of the area surrounding Lake Titicaca is approximately 228000. The primary point of interest is the Isla del Sol, with many well-preserved ruins. Nearby is the Isla de la Luna, home to the ruins of a convent for virgin priestesses. Both islands are on the Bolivian side. Isla del Sol is the highest point in the lake at more than 4084 meters (13400 feet) above sea level. It is the largest of all the islands (5.5 x 3.75 miles) and used to be regarded as the home of the supreme Inca sun god Inti. The town of Challapampa on the north end of the Island of the Sun is home to the intriguing Chinkana labyrinth, possibly a training center for Inca priests. The sacred rock near the labyrinth is carved in the shape of a puma. It was used for rituals and sacrifices. One of the best ways to grasp the sheer magnitude of Lake Titicaca is to take a boat trip from Copacabana. 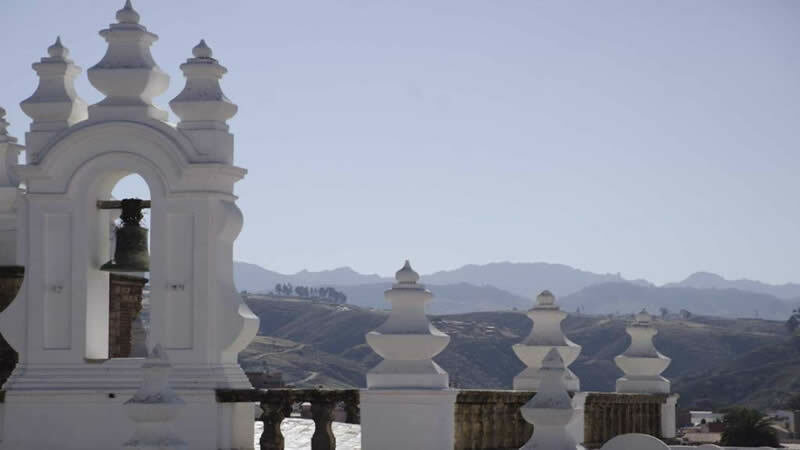 Here you will discover ancient Inca ruins scattered throughout the island as well as Aymara villagers busy farming the terraces and tending to the sacred sites. The island is crossed by hiking trails and Inca sites like Pilko Kaina, with its ruined palace. 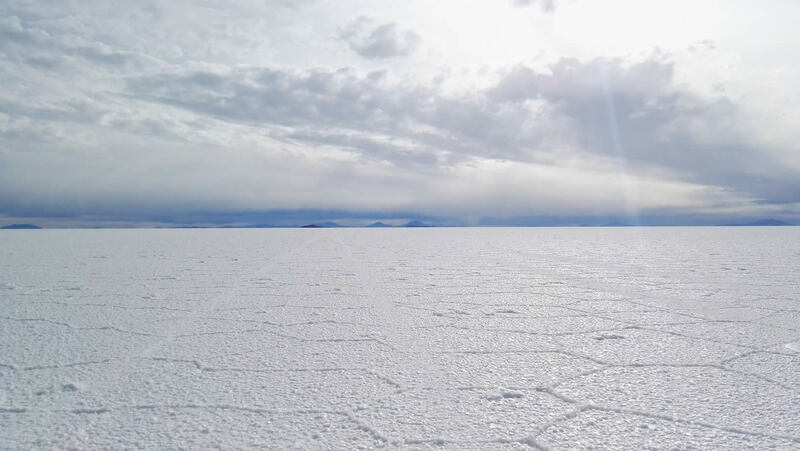 Walking from one side of the island to the other is a cathartic experience and one which will allow travelers to witness some of Bolivia’s most breathtaking scenery. In nearby Yumani village on the south side of the island, the Stair of the Inca (Escalera del Inca) leads up to the fabled Fountain of Youth or Three Waters. You can choose to sleep over on the Sun Island instead of going back to Copacabana and experience a unique sunset and sunrise over the lake. Anything you choose will make for a fantastic visit, especially with the beautifully blue water shimmering beneath you. The sacred stone fountain in Yumani on the south side of the island has three separate springs and is said to be a fountain of youth. You can reach it by climbing up the Inca steps, 206 stone steps built by the Incas leading up to the town and several ecolodges where you can spend the night. Sunset on the Isla del Sol is beautiful. The sun covers the surrounding mountains in bright colors and reflects in the deep blue waters before disappearing below the horizon. The Isla de la Luna (Moon Island) nearby housed chosen priestesses known as Ñustas or "Virgins of the Sun," who lived like nuns here weaving garments from alpaca wool and performing ceremonies dedicated to the Sun. Copacabana is a tourist-oriented town in Bolivia on the mainland that serves as the hub for excursions to these islands. The town is home to one of the principal pilgrimage sites in Bolivia, the Basilica of Copacabana where the Virgin of Copacabana is housed. There are traditional artisan markets, several hotels and restaurants, so it is a good place to relax a bit before continuing your journey to La Paz or Puno. Copacabana itself is a treat to explore, with many shops, restaurants and bars lining the main streets. 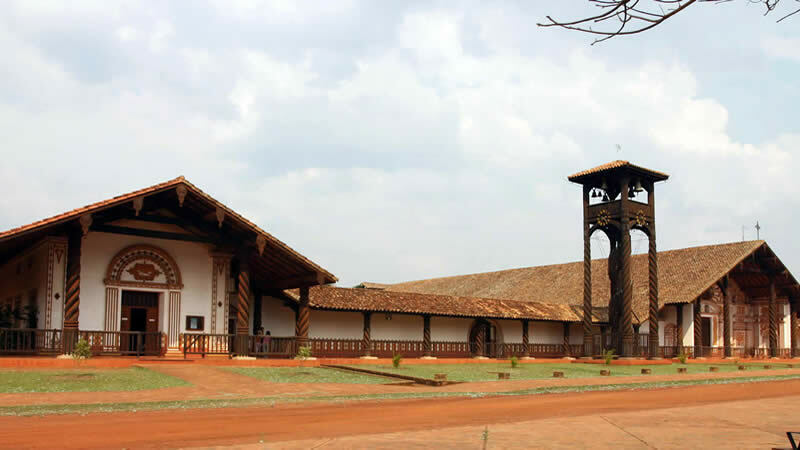 Visit the Basilica of Our Lady of Copacabana, a 16th-century Spanish colonial shrine that houses the image of the Virgen de Copacabana. Climb to the top of "Calvary" hill (Cerro del Calvario), which has seven stops - the seven stops Jesus made as he walked with his cross on his back to his crucifiction. 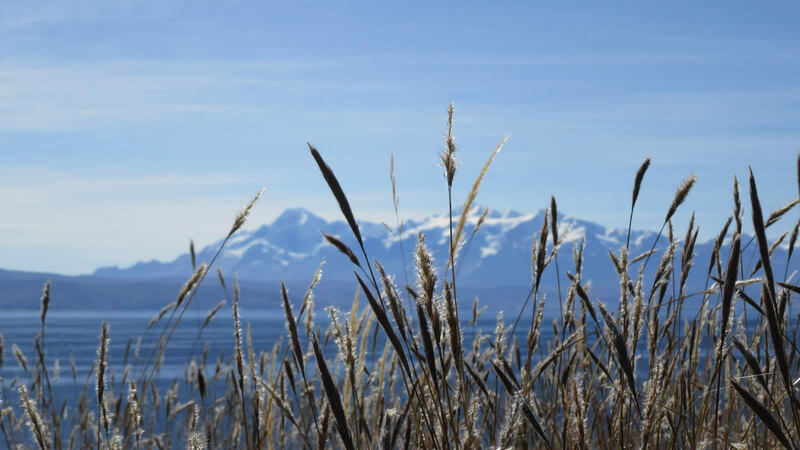 If you make it up to the top, you'll be rewarded with one of the most beautiful views of the lake and the surrounding snowcapped mountains. From here you can observe Lake Titicaca in all its glimmering glory. Tiwanaku or Tiahuanaco is an ancient pre-Columbian city in ruins near the south-eastern shore of Lake Titicaca, about 72 km (44 miles) west of La Paz. Tiwanaku is a recognized World Heritage Site. Once the seat and ceremonial center of the Tiwanaku culture, the city was built from stones weighing more than 25 tons from the other side of the lake. The community grew to urban proportions between the 7th and 9th centuries, becoming an important regional power in the southern Andes. At its peak the city had between 15000 to 30000 inhabitants. With only a small part excavated, Tiwanaku remains an enigma. On the Peruvian side of the lake sits Puno. This town is known as the capital of Peruvian folklore and features myriad tour companies that can provide you with transport to Los Uros, offshore Islas Flotantes (floating islands) constructed of reeds. The "floating" Uros Islands are man-made reed islands that are home to descendants of the ancient Uros culture, which was contemporary to the Incas. They still live a simple, traditional life. Their religion is a mixture of traditional Indian and Catholic, and they bury their dead on the mainland. Today the Uros people live mainly from tourism. The nearby islands of Taquile and Amantani have additional ruins and traditional villages that are also worth visiting. Taquile has been home of the Quechua Indians for centuries and is famous for its textile art. The climate around Lake Titicaca is mostly cold and dry. Besides the rainy season that lasts from December to January, it is almost always sunny and dry during the day and cool and often windy in the evenings. The high altitude can cause travelers to experience mild symptoms of altitude sickness and you may need a day or two to adjust. The average temperature is around 7 °C (45 degrees Fahrenheit). Temperatures near the lake can drop down as low as -1°C (30 degrees Fahrenheit) in the winter (June to August). It may snow on occasion. Maximum temperature is around 15-20 °C (60-70 degrees Fahrenheit) in the summer (December to February). It can get quite windy in the evenings. 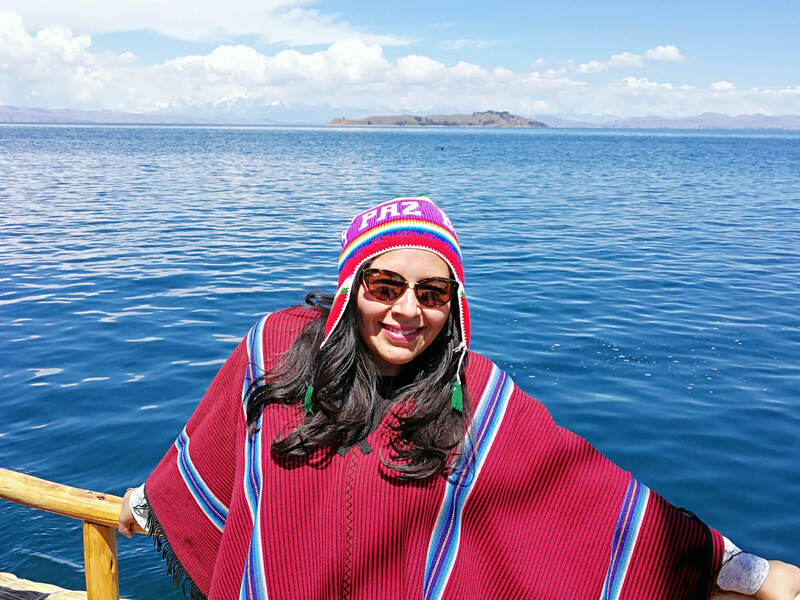 The sheer volume of the lake allows the hydrological cycle in this area to function and gives the region a higher degree of humidity compared to the rest of the Altiplano. The lake has seen many cultures along its shores, such as the Pucará (400BC-100AD) and the Tiwanaku (200BC-1000AD). Inca mythology says Lake Titicaca is the site of creation by the god Viracocha. 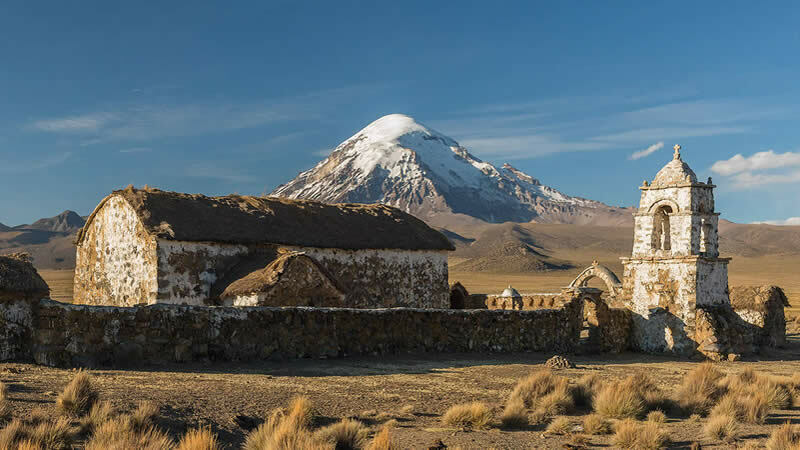 He rose from the lake and created the sun, the stars and the first people.The first Inca emperor, Manco Capac, is said to have been born here. The gods later created a wife for him, Mama Oqllo, and together they founded a tribe that would eventually grow into the Inca Empire that dominated a large region of South America. Lake Titicaca was enveloped into Inca mythological and religious beliefs as the center of the cosmos. However, its position as the focal point of life and religion stems back long before the Incas conquered the previous civilizations. There are many ancient and sacred places to discover on the shores of Lake Titicaca, as well as on the many islands in the lake, remaining as testaments to the architectural prowess and cultural beliefs of the ancient groups of indigenous people that inhabited the region long ago. Many archaeological finds around the lake have unearthed artifacts such as silver llamas, shell figurines and intricately decorated pottery. A temple-like structure was discovered in the depths of the lake in 2000 but is awaiting further funds to be studied and possibly brought to the surface. The Mount of the Puma. Local communities believe that the shape of the lake depicts that of a puma hunting the rabbit. Thus the name, Titicaca, comes from the word “Titi Khar’ka” meaning Rock of the Puma in Aymara (a local indigenous language). This may be a reminder of the felines that lived long ago in the vicinity of the lake. Also, the map of the lake upside-down has the shape of a puma chasing a rabbit. You can see many boats that have puma mask made of totora on their prows. More than 530 aquatic species can be found in Lake Titicaca, as well as many species of water birds. Threatened species than can be found here include the enormous Titicaca water frog and the Titicaca grebe. 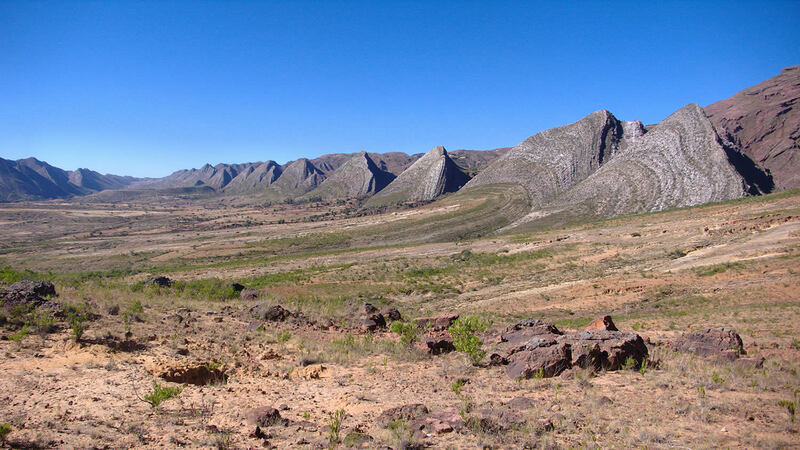 Approximately 90% of the fish found in the basin are endemic species not found anywhere else. There are also 24 species of freshwater snails living in Lake Titicaca. The most common fish in the lake are killifish and catfish. The majority of animals that live around the lake are ducks, parihuanas and guallatas. Trout, suche, and the carachi are the main fish species. The giant frog that lives in lake Titicaca is perhaps the best known. The are about 12 varieties of aquatic plants, including the the famous totora reed used in so many ways by the locals. Lake Titicaca is extremely important for the migratory and water birds of the Andes, including three species of flamingos. 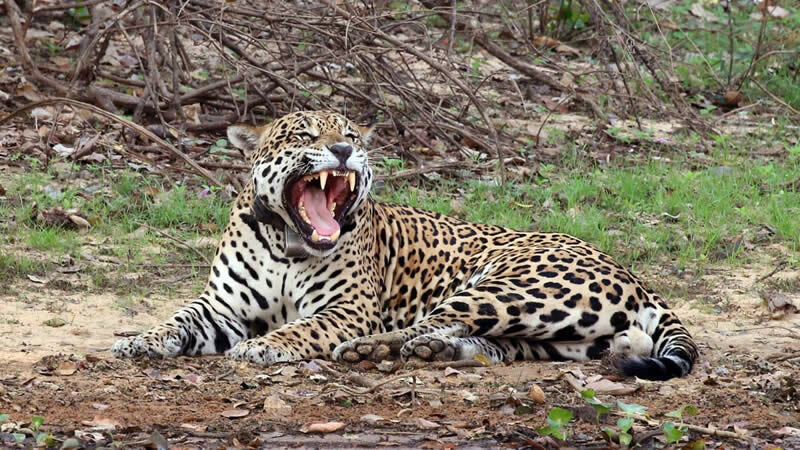 Despite the existence of nature reserves, rare and endemic species including numerous bird, fish and amphibian species are threatened. The Titicaca Grebe (Rollandia microptera) is threatened by the lack of nesting sites. The number of Titicaca Water Frogs (Telmatobius culeus) is also shrinking significantly. The first settlements around Lake Titicaca date back to around 1500 B.C., though there is evidence that the area has been occupied since prehistoric times. The indigenous Aymara had their religious and administrative center here. In the 15th century A.D., the Inca empire stretched until Lake Titicaca and had its capital, Cusco, well connected to the sacred sites here. During the Incan period, the indigenous peoples called the Urus who still exist today would flee from violent conflicts onto floating islands built from Totora reeds. The Urus place great importance on their traditions and to this day live on their “islands". 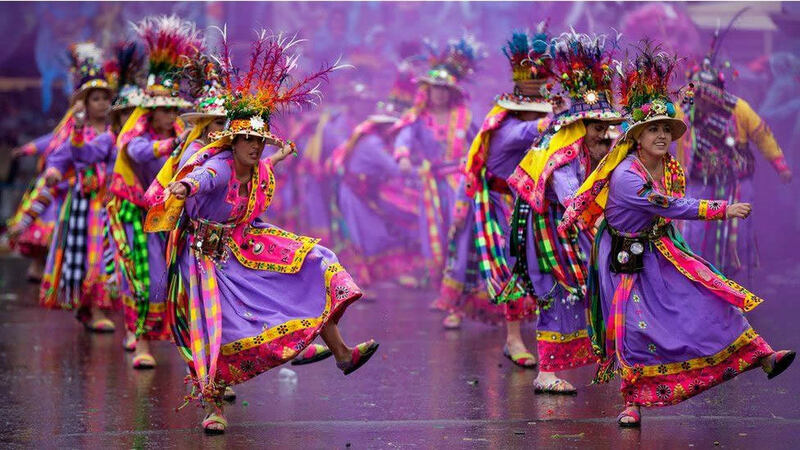 The Quechua people inhabit the Peruvian islands of Taquile and Amantaní. Archeological buildings in some sites as Pukara, Sillustani, Cutimbo (Peruvian side) and Tiwanaku and the Isla del Sol (Bolivian side) are clear evidence of the advanced skills of societies such as the Pukara, Tiwanaku, Colla Lupaka and Inca. In 2000, an international archaeological expedition discovered an ancient temple submerged in the depths of Lake Titicaca. The huge structure is nearly twice the size of a soccer field (660 feet long), and was found by following a submerged road that begins near Copacabana. The temple is estimated to be between 1,000 and 1,500 years old. The Inca Empire had built its capital, Cusco deliberately close to the lake. 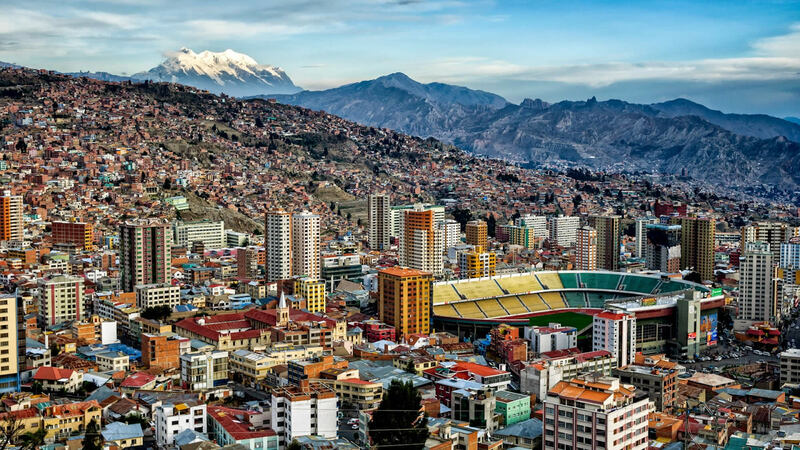 La Paz, the seat of the Bolivian government is also only 4 hours away from lake Titicaca. Rating: 4.5 , 4 votes. When visiting the lake, you may decide to stay in a hotel in Copacabana, or an ecolodge on the Isla del Sol. There are several tour options available to visit Lake Titicaca, both private and shared. Visit he most energetic and mystical places in the Andes: the Sun Island, Copacabana and Lake Titicaca! This tour offers impressive landscapes, beautiful sunsets, ancient culture and local traditions. Travel from La Paz to Puno while visiting the most enigmatic and spiritual places of the bolivian Andes! Roam the streets of Copacabana, climb the stairs of the Inca and navigate on Lake Titicaca while enjoying the view of the snowcapped Cordillera Real mountains! Travel safely in a comfortable tourist bus from Copacabana to La Paz, admiring the beautiful andean landscapes. Arrive in La Paz city in 3 and a half hours with our hotel to hotel service. During the trip you will see beautiful views of Lake Titicaca and we will make a stop so that you can take pictures. Travel safely in a comfortable tourist bus from La Paz to Copacabana town, admiring the beautiful andean landscapes. Arrive in Copacabana in 3 and a half hours with our hotel to hotel service.